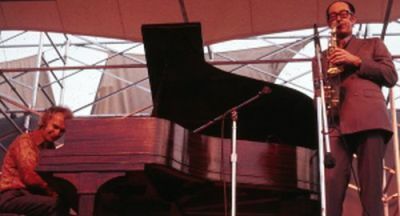 Jan, a very big fan of Dave Brubeck ,kindly forwarded some of his superb images he took during the period 1967-1971, at the Newport Jazz Festival and at The Schaefer Music Festival, Central Park, NYC. They can be seen here. Copyright of these wonderful images belongs to Jan so no permission is granted to use these images without prior approval.